As of Tuesday, November 12, 2013, the Mercy Road News Blog will no longer be updated. For current information on what is happening at Mercy Road Fellowship, please check out our new blog at www.churchinstpeters.com. If you are not redirected to that site in momentarily, click on the link above to take you there. Share your MRF photos! Calling all photographer! Please share your photos taken at Mercy Road events. You can upload them to the Meetup pages for specific events or e-mail them to Renae at the address below. Thank you! Books That Make You Think Book Club: meets Sundays at 7 a.m. at St. Louis Bread Company, 290 Mid Rivers Mall Circle Drive 63376 (map). We are reading The Ragamuffin Gospel, by Brennan Manning. Come join us! Sisters In Faith Coffee Club: Tues., 10/1, 6:30 p.m. at Sue Johnson’s home (more info here) We invite you to seek Christ with us as we learn more about him via His names… Sisters In Faith is a great place for study, fellowship and fun! Community Group: does not meet the 1st Wed. of the month; see you next on Wed., 10/9, at the Caylors (more info here); childcare provided. Second Sunday Sassy Ladies Luncheon: Sun., 10/6, noon (after worship), at Old Mill Street Inn, 912 South Main Street, St. Charles, MO (map) ... note that this month we are meeting a week earlier than usual due to a potluck lunch scheduled for the following week! 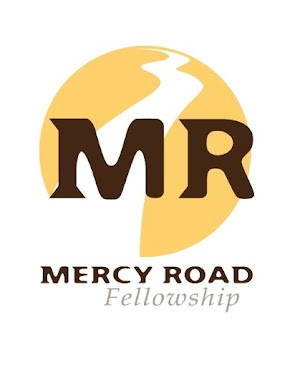 Discovery Luncheon: Sun., 10/6, 1:00 p.m., at the Caylors (info/RSVP here); learn about Mercy Road, our ministries, and opportunities to become more involved. Lunch and babysitting are provided. Family DJ Ice Skate: Fri., 10/11, 7-9:00 p.m., at the St. Peters Rec Plex, 5200 Mexico Rd, St. Peters, MO (map). Bring your family and join us at the Rec-Plex North ice arena for DJ Skate! We'll have games, prizes and fun for all ages. Cost: Rec-Plex admission (plus $3 skate rental, if needed). Be sure to bring a lock to lock up your belongings (more info/RSVP here). Evening Men’s Group: Sat., 10/12, 7:00 p.m., at the Keen’s home (info/RSVP here). Join us for a time of encouragement, prayer, and study the second Saturday evening of each month. Feel free to bring snacks and beverages to share. Dessert Potluck: Sun., 10/13, after worship. Plan to join us and sign up to bring your favorite dessert (info/RSVP here). 4th Annual “Witches” Night Out, Thurs., 10/24, 6-9:00 p.m., Llywelyn's Pub, 100 N Main Street, St Charles, MO (map), a fun Halloween-themed ladies’ night out … be sure to wear proper attire, your favorite black hat! 4th and Dine: Fri., 10/25, 6:30 p.m., at Hendrick’s BBQ, 1200 South Main Street, St. Charles, MO (map). It seems like it has been awhile since we have had some BBQ...lets head to old town and kick up our heels at Hendricks! See you there. Morning Men’s Group: Sat., 10/26, 7:00 a.m., location TBD, enjoy some coffee, some light breakfast, and a time of study, encouragement, and prayer (info/RSVP here). Halloween Costume Party (Adults Only): Sat., 10/26, 7:00 p.m., at Terry & Sue Johnson’s home. Our 7th Annual Costume Party is coming soon! Plan to join the fun and bring a snack and favorite adult beverage to share; soda and sandwiches provided (more info/RSVP here). New MRF website -- check it out! Questions? Corrections? Omissions? Contact Renae Johnson, renae@mercy-road.net, MRF’s church administrator. These are the questions that we'll be discussing together in Community Group tomorrow night, Wednesday the 28th. We'll be meeting at the Caylor’s house--(Info/RSVP here). Community Group begins at 6:25, and ends at 8:00. Childcare is provided--we'll see you there! Why can't the law make worshippers perfect, according to verses 1 & 2? What sets Jesus' sacrifice apart, according to verses 5-9? How does Jesus' sacrifice relate to our holiness? What does verse 14 mean? If we are made perfect forever, how can we be made holy? What does holiness mean? How does the new promise (or covenant) described in verses 16 and 17 lead to the conclusion that ongoing sacrifice is no longer necessary? How often do you experience a sense of guilt? Why might that be good? Why might it be unhealthy? Do you live your life as if you were being made holy? See You At Community Group! These are the questions that we'll be discussing together in this week's Community Group. We'll be meeting at the Caylor’s house in St. Peters tomorrow night--(more info here). Community Group begins at 6:25, and ends at 8:00. Childcare is provided--we'll see you there! What are the copies of the heavenly things that the writer speaks about in verse 23? Is verse 23 saying that the heavenly things needed to be purified by a better sacrifice? If so, why? If not, what is the writer saying? What is the central point of verses 25 & 26? Why is it significant that Christ's sacrifice was done once, and not repeated? How does this do away with sin? How does the last analogy in verses 27 and 28 bring home the point that we need a once for all sacrifice? Does the end of verse 28 mean that we have to wait for salvation? In what sense does the writer use the term "salvation?" What response do you have to the words, "Christ died to take away your sin?" What response do others have? What do you look forward to the most about your (ultimate) salvation? Softball: Last game of the season!! Thurs., 8/22, 6:30 & 7:30 games on diamond #20 -- Info/RSVP here. 4th & Dine: Fri., 8/23, 6:30 p.m., at Kitaro Bistro of Japan, 4551 Highway K, O’Fallon, MO (map) RSVP/Info here. Morning Men’s Group: Sat., 8/24, 7 a.m. at the Deans, for encouragement, prayer, and study; feel free to bring you favorite light breakfast food. More info/RSVP here. Potluck BBQ: Sun, 8/25, after worship (11:30 or so), Spencer Creek Park, our last potluck of the summer! Please join us for food and fun... a sprinkler will be provided, so bring a towel and suit/change of clothes for the kiddos. RSVP/Info here with what food--your BBQ speciality and/or sides--you can bring to share. These are the questions that we'll be discussing together in this week's Community Group. We'll be meeting at the Caylor’s house--(more info here). Community Group begins at 6:25, and ends at 8:00. Childcare is provided--we'll see you there! What is the writer comparing and contrasting in verses 11-14? What makes Jesus' priestly service better than that of earthly priests? How is Jesus' death like a will, according to verses 16-18? How did blood cleanse the tabernacle? How does Jesus' blood cleanse us? How would you describe the difference between outward cleansing and internal cleansing? What is the price of forgiveness of sin? These are the questions that we'll be discussing together in this week's Community Group, Wednesday, July 31. We'll be meeting at the Caylor’s house (RSVP/more info here). Community Group begins at 6:25, and ends at 8:00. Childcare is provided--we'll see you there! How do verses 1-6 summarize the point of chapters 5-7? Why would Christ not be a priest at all, if he served on earth? What does it mean when the text says that the tabernacle was a copy and a shadow of what is in heaven? What was wrong with the first covenant? What is different about the new covenant (verses 10-12)? How does the new covenant that God makes with his people address our fundamental problem? Community Group: Wednesday, 7/24, 6:30 p.m. at the Caylors; childcare provided. RSVP/Info here. 4th & Dine: Friday, 7/26, 6:30 p.m., at La Carreta, 4203 Old Highway North, St Charles (map), RSVP/Info here. Morning Men’s Group: Saturday, 7/27, 7:00a, at Jason Dean's home, RSVP/Info here. See Ya Later Joel & Jayme Party: Sunday, 7/28, Open House 4-8:00p at the Caylors, Info/RSVP here. Drop in and hang out with Joel & Jayme for awhile once more before they leave for Santa Fe! Fitting Words for a Trying Time. Where mercy is the rule, not the exception!